More details on Microsoft 's forthcoming Internet Explorer 8 (IE8) web browser have emerged. The first IE8 hints were made on the Internet Explorer blog a couple of weeks back. At a MIX'07 session called ' IE Past, Present, and Future ' developer Chris Wilson revealed some more details. 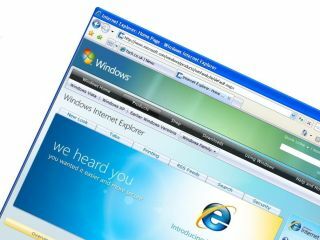 Internet Explorer 8 will be the primary user interface for Microsoft's Silverlight application, poised to take on Adobe's Flash. The current version of Internet Explorer has been criticised for the way that the user interface can't be customised, so this is one of the areas the developers will try to improve in IE8. IE8 will have improved RSS, CSS, and AJAX support. It will also have support for microformats, small tags embedded in the HTML code that can be used in different ways by software applications such as calendars or contact managers. Mozilla's Firefox 3 will also feature microformat support. It's not yet known when IE8 will be released but Microsoft hinted it will be under development for "at least another year". This works out to be around 18 months following the release of Internet Explorer 7 .